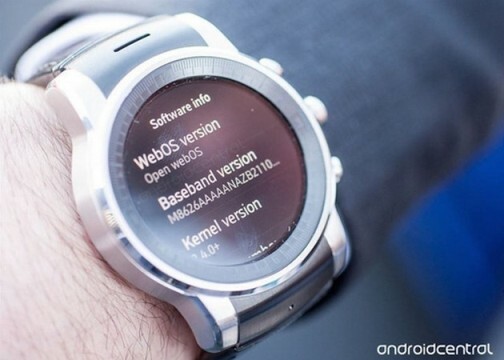 LG Smart Watch with webOS; goodbye Android? The guys at Android Central have “caught” at the fair in Las Vegas a LG Smart Watch with webOS (not officially presented) confirming the new generation of wearables for the South Korean firm with its own system. A developing more advanced than the current G Watch R, chassis and aluminum keypad with a fundamental difference: include components necessary to not depend on smartphones and operate completely autonomous. Another point of interest is webOS and its implications. The presentation of the new TV sets in the CES has confirmed the strategy of the big manufacturers of using proper operating systems or of third parties but different from Android as way of differing from the rest and also to avoid an entire dependency on Google. Thus, we have seen the Samsung with Tizen, Panasonic with Firefox OS and LG with webOS. A webOS that after the defenestration of Palm went through HP and now is becoming strong in LG. So much so that The Wal Street Journal says the firm will make a massive transition of all electronic products to webOS in 2016, including private label. Do it also for smartphones? Here the key point of this transition is going to be undoubtedly: will it bet Samsung for Tizen and LG for webOS in their next generation of smart phones? Will they dare to dispense with Android? Considering the millions of terminals selling strategy could overturn the monopoly of Android in the sector.